Photographer Tom Sapp learned digital enhancements like photo restoration, manipulation and retouching when he attended Hallmark Institute of Photography. There he had the best teachers available to the industry at that time. The education received gave Tom the ability to achieve a Fuji masterpiece for expert digital manipulation ability by the Connecticut Professional Photographers Association just one year after graduation. Now well over a decade later his abilities shine through the work you receive. Tom is a photographer full time takng on restoration assignments as time allows. 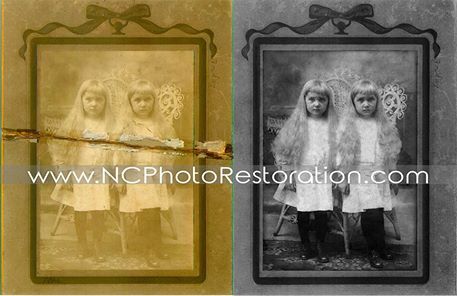 Since 2004 Tom has offered photography and restoration services from his home digital photography studio located in Wilmington NC.